The college has more than 130 programs leading to degrees, certificates, diplomas, and post-graduate diplomas. 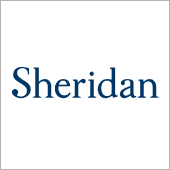 Sheridan College has a music theatre performance program, undergraduate and post-graduate film programs, and a craft and design program. They have courses in business, animation, illustration, applied computing, engineering technology, community studies, and liberal studies, among others. In 2012, art and design programs within Sheridan's Faculty of Animation, Arts and Design were recognized by the National Association of Schools of Art and Design (NASAD) to have "substantially equivalent" membership status. (NASAD's nomenclature for non U.S. members) Sheridan is only the second art institution in Canada to achieve this status.